Today as the business of import from China to Dominican Republic is on the rise, we at TS Freight rise up to the challenge to offer our client the fastest, most efficient and safest methods for shipping to Dominican Republic. We have a vast network accommodating economical and reliable logistics plans to cater to your cargo shipping to Dominican Republic needs, and our range of services is not only limited to shipping and import from China to Dominican Republic; but also includes pick up, packaging, documentation, customer clearance, consolidating, warehousing and more. What makes us stand apart from our competitors is the fact that we bring to you highly customizable logistics options. You tell us your needs, and we will find a way to cater to them in the most streamlined and cost effective way possible, so that the success of your supply chain management business is not hampered in any way. We will schedule for pick up in China covering all major ports like Shenzhen, Tianjin, Dalian, Shanghai, Guangzhou, Hong Kong, Xiamen, Ningbo, Hangzhou etc and will schedule for delivery to all the major ports in Dominican Republic including Santo Domingo, Rio Haina, Puerto Plata, Boca China, San Pedro de Macoris, Manzanillo, Azua and more. Our strong alliance and great communication channels with the best international liners that offer the most competitive cargo shipping to Dominican Republic prices allows us to offer you the most affordable shipping methods. 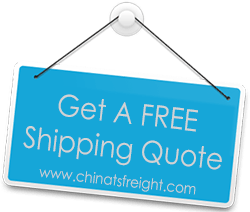 However, for our clients who desire a faster way to get their cargo shipped from China to Dominic Republic, we also offer efficient air freight services, which are again customized to suit their specific time frame and budget needs.